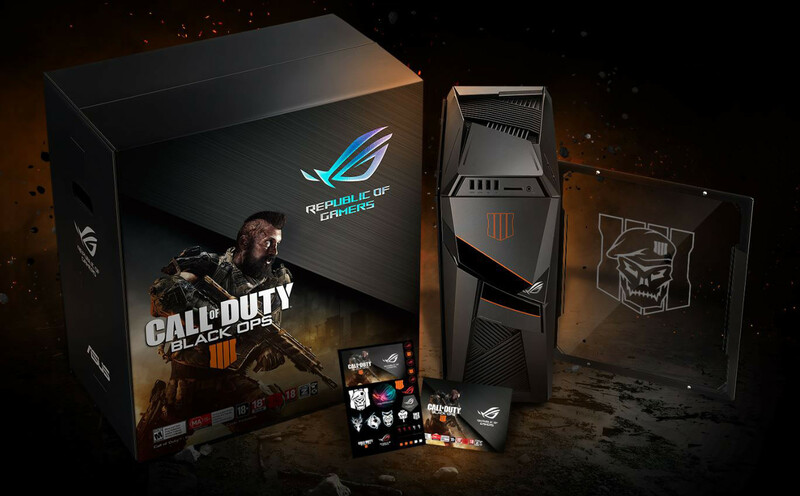 Today, ASUS Republic of Gamers (ROG), announced a collaboration with Activision and Intel to produce a range of limited edition Call of Duty: Black Ops 4 products in advance of the upcoming release of Call of Duty: Black Ops 4 on PC. Expanding on the recently announced partnership, with Activision, which allows consumers who purchase qualifying ASUS and ROG products access to Call of Duty: Black Ops 4, similarly, consumers who purchase certain limited edition ROG Call of Duty: Black Ops 4 products will receive a game code that will allow them to access the Digital Standard Edition for PC at launch. In addition, a unique integration with ROG’s AURA Sync technology allows the Call of Duty: Black Ops 4 emblems and RGB lighting elements to echo what’s happening during gameplay. Intel has worked closely with Activision to help optimize the PC version of Call of Duty: Black Ops 4 for PC gamers, though Intel is largely untested in optimization work like this with the aside of a few titles like Rome Total War 2. They also have worked closely with ASUS and Republic of Gamers to create products, like the ROG Strix GL12, that take advantage of the latest Intel Core processors to deliver the premium performance that gamers want, Intel had this to say about the partnership. John Bonini – Vice President and General Manager of VR, Esports and Gaming at Intel. Now we can start taking a look at the products which will have the Call of Duty BO4 branding. 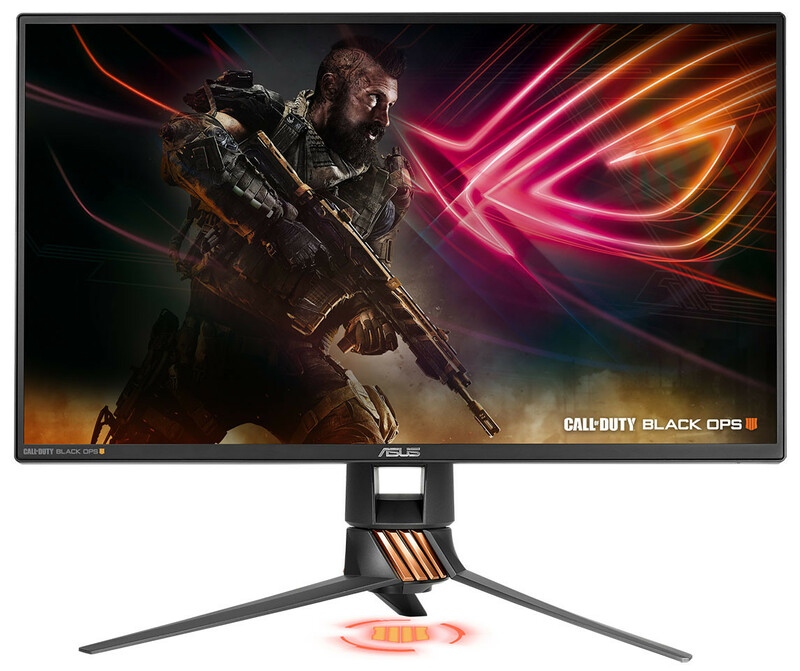 ROG Strix GL12 Call of Duty: Black Ops 4 Edition: The limited edition GL12 gaming desktop contains the best-in-class hardware, to deliver exceptional realism in and smooth gameplay in Call of Duty: Black Ops 4. The GL12 is equipped with a factory-overclocked 8th Gen Intel Core i7-8700K processor and a brand-new NVIDIA GeForce RTX2080 graphics card which should handle the game quite well. ASUS says it is specially designed for Call of Duty, the front façade includes the Call of Duty: Black Ops 4 emblem and orange slashes, in addition to AURA Sync RGB lighting, and the specially-integrated Call of Duty lighting effects which interact with gameplay. 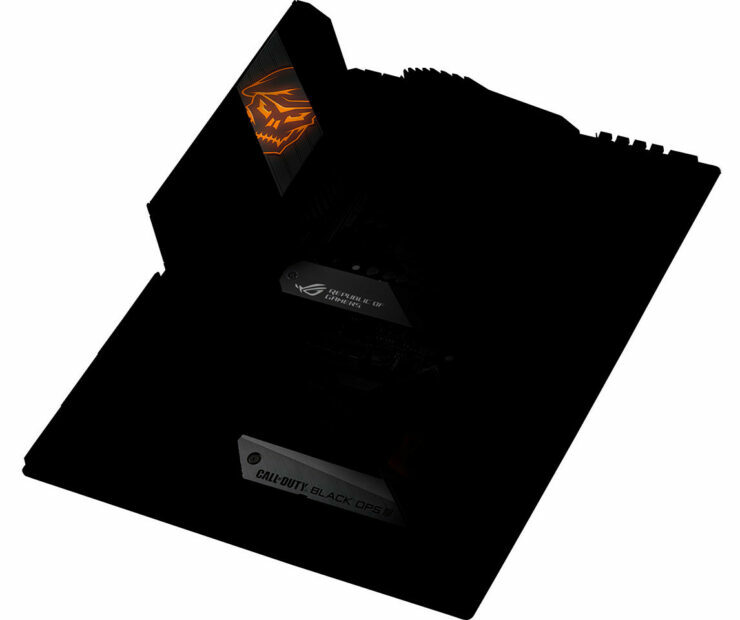 In addition, the side panel is emblazoned with the Black Ops series skull. The GL12 will come with a game code to download the Digital Standard Edition for PC. 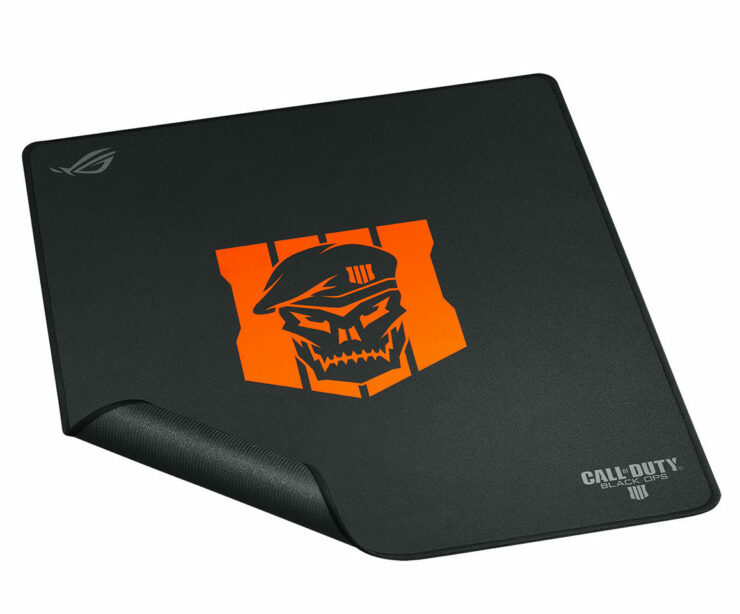 For other limited edition Call of Duty: Black Ops 4 products, ROG worked with Activision to include design elements and emblems from the game. 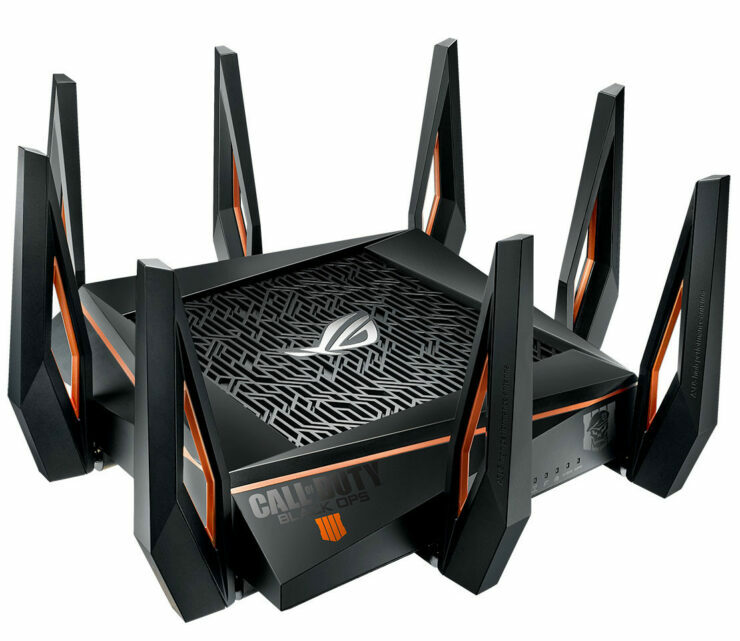 In addition, the design elements will incorporate customized AURA Sync capabilities and effects within Call of Duty: Black Ops 4 for PC to AURA Sync capable devices, mentioned in the previous partnership announcement. AURA Sync coordinates colors and effects with compatible RGB-lit products like laptops, desktops, headsets, keyboards, mice, and motherboards, among others, this was likely an easy cross-promotional tool, though I am not too sure how many people will be flocking to pick these up, as I remember Logitech had issues selling their stock of MW3 branded peripherals years ago and were heavily discounted. Call of Duty: Black Ops 4 for PC gives the ROG community an interesting option that’s possible with AURA Sync-enabled hardware. When playing Black Ops 4, the RGB lighting signals changes in environment and offers crucial visual cues based on the in-game action. With rows of keys that change color when a player’s health drops and switch off as a player’s ammo runs low, players are more in tune with the game and better equipped to handle high-stress situations. 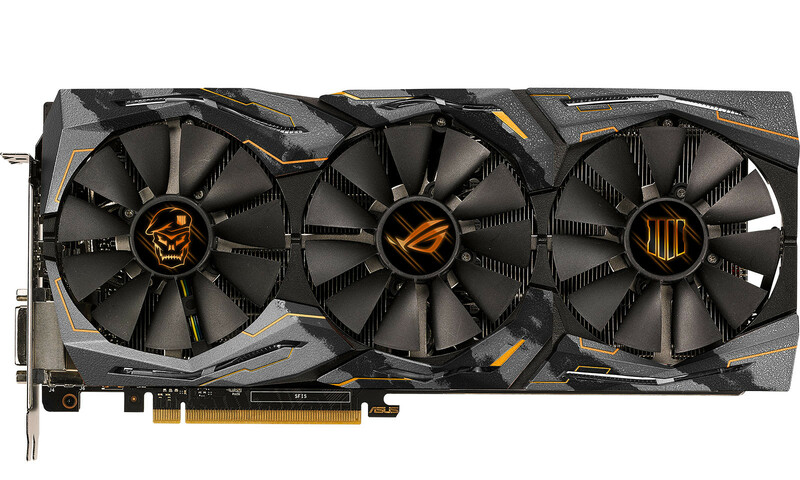 Sporting a Call of Duty: Black Ops 4 motif and a uniquely loaded web UI, the ROG Rapture GT-AX11000 supplies menacing performance that is perfect for Call of Duty gameplay. 2.5G Ethernet and next-gen 802.11ax performance is fueled by a 1.8GHz quad-core processor, delivering the power to dominate online skirmishes even when multiple clients are vying for network bandwidth. The Digital Standard Edition for PC will also be included with purchase. The ROG Strix Flare Black Ops 4 Edition is a mechanical gaming keyboard that features immersive ASUS AURA Sync and AURA Gaming lighting, in addition to rapid-response Cherry MX RGB switches, dedicated media controls, and an ergonomic wrist rest. 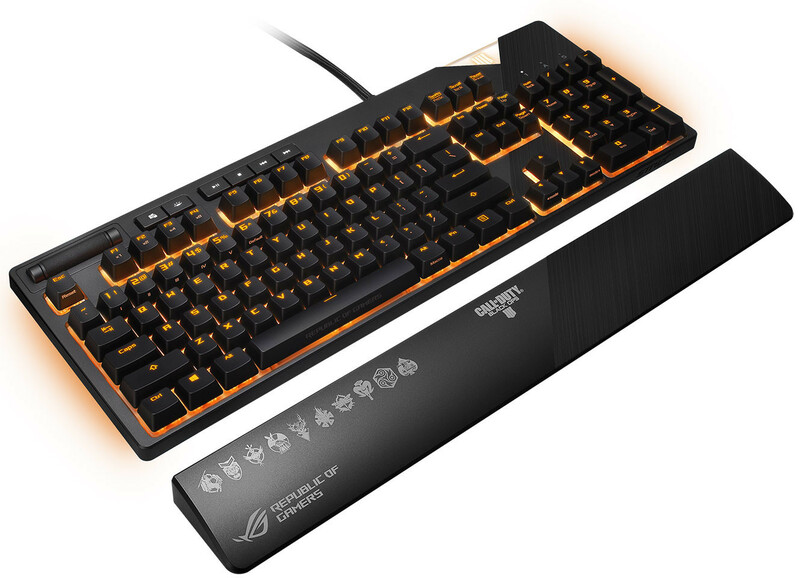 RGB Lighting includes vibrant pre-key RGB backlighting and ambient under glow on both sides of the keyboard, and users can customize an illuminated Call of Duty: Black Ops 4 badge to their preference. 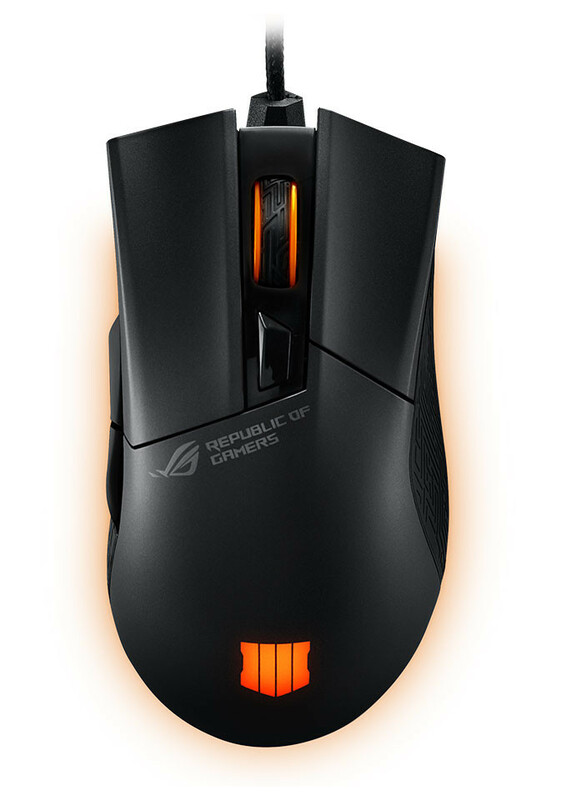 The ROG Gladius II Origin Black Ops 4 Edition is an optical gaming mouse that extends on-screen action to the illuminations of your mouse through AURA Gaming. The 12,000-dpi sensor tracks every movement precisely, while the exclusive socket design speeds the fitting of sweet-spot switches. Right-handed ergonomics meticulously designed in collaboration with esports pros imbue expert comfort into every sweep and shot. The ROG Strix Edge Black Ops 4 Edition is a large, portrait gaming mouse pad with an optimized cloth surface that provides accurate, responsive tracking for outstanding gaming performance. Rounding out the collection of Black Ops 4 Editions peripherals, the ROG Strix Edge features design elements and graphics inspired by Call of Duty: Black Ops 4.